There are many different uses that come along with using various tarps. People will often have these on hand in order to make sure that they get the job done the right way the first time. Anyone who is curious about making a purchase will need to make sure that they take the time to check into the right benefits. The canvas tarps are not the type of products that are known to breakdown very easily. The tarps are very durable and can even withstand strong weather and other damaging factors. People have been able to use them on a daily basis without having to worry about them breaking or ripping. Being water proof as well as fire proof is a great way to stay safe when working on any job. Construction sites will often use these so that all of the workers remain safe as well as the equipment and the machinery that is used. Have them on hand at all times just in case something does come up. If there are any rips or tears, there is no need to go out and buy brand new tarps. The poly tarps are going to be very easy to repair with the right tools. Special tape is often one of the best ways to clear up the tears while saving the individual a great deal of money. Keep a roll around just in case something does happen. 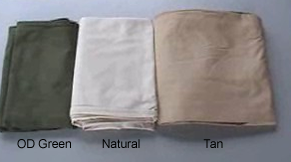 There are different tarp sizes and types that can all be purchased online. Take a look around at reputable websites that will help buyers get exactly what they need. These site will also help to save the shopper a great deal of money so start looking around. Tarps are the right type of tool to have for any type of job. The canvas tarps can be used on construction sites or even around the home. Take the time to look around right now and buy the right products for any job that is going to be started int he near future.